ELIZABETH CITY, NC - Warm weather can be tough on your vehicle, especially here in North Carolina. Intense heat can destroy batteries and put stress on the tires and cooling system. Thanks to the lowest summer gas prices since 2009, many Americans will be hitting the road this summer for vacation, and to insure a safe trip you may want to check out these warm weather car care tips. By making sure your vehicle is running smoothly you can avoid breakdowns or car problems that will definitely put a thorn in your summer plans. Heat zaps life away from your battery. Many car owners believe that battery problems only occur in the winter, which could not be more wrong. 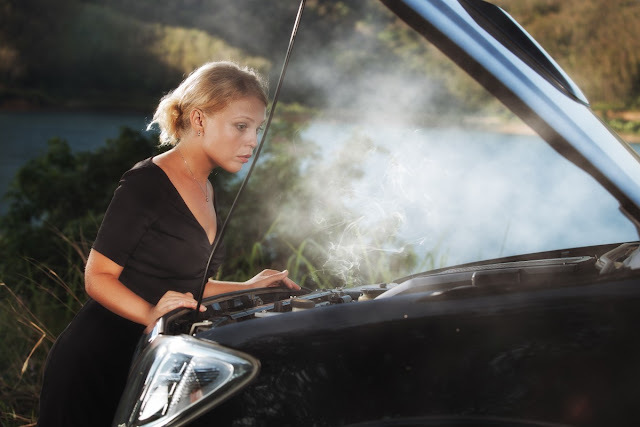 Heat and vibration are the two WORST things for a car battery, and ultimately lead to engine failure. If you car's battery is more than three years old, make sure to have it checked by a certified technician before heading out on the road. Maintain and check up on your air conditioning. NOTHING, and we mean nothing, is worse than the air conditioning going out in the middle of the summer. Driving around in a car when it's 80+ degrees out is hard enough on your vehicle. Take out the air conditioning and good luck trying to go anywhere fast. Even a marginally operating system will fail in the hot weather, so have your air conditioning checked out by a qualified technician. The greatest cause of summer breakdowns is cooling system failure. The cooling system should be completely flushed out and refilled every two years. Be sure that you understand the level, condition and concentration of the coolant should also be checked periodically, especially when it first starts to warm up after the long winter. Check your windshield wipers. Your windshield wipers have been working overtime since January. A dirty windshield causes eye fatigue and can also pose a safety hazard. Replace worn windshield wiper blades and have plenty of windshield wiper fluid handy. Your brakes have been working hard all winter, make sure they're okay! Your brakes have kept you from sliding off the road since January, so make sure they are up to par before you head out this summer. If you notice pulsations, grabbing noises or longer stopping distances, bring your vehicle to see a certified technician ASAP. Just a quick, 20-minute once over can mean the difference between a fun and relaxing family vacation or being stuck in the middle of nowhere with no air conditioning, waiting for the tow truck. NO FUN! Feel free to share these warm weather car care tips with your friends or family! Perry Auto Group has two dealership locations to serve you better at 1005 W. Ehringhaus St, Elizabeth City, NC, 27909 or 1001 Halstead Blvd Elizabeth City, NC 27909. Feel free to call us with any questions at (252) 338-9100.